At Washington State University offices in Seattle, Everett, and Pullman, though, an idea was taking shape. The University already was assisting with various recovery efforts, and it sent a team from WSU Extension to help with the competition as well. What followed was a joint Arlington and Darrington entry that has survived two elimination rounds, already brought in more than $150,000 in grants, and is among just eight of the more than 350 original entries still in contention for the top prize. “I never, ever had any inclination of the resources that were available at my fingertips,” says Tolbert. Call it the Urban Extension. Long recognized as the authority on everything from gardening and vegetable canning to livestock care and other staples of a traditionally rural lifestyle, WSU Extension is evolving for a new era marked by rapid urban growth. Now, Extension is helping research more efficient strategies for protecting natural resources and assisting communities dealing with socioeconomic challenges ranging from poverty and homelessness to wage stagnation and economic diversification. The goal is to make sure WSU, as the state’s land-grant university, continues to provide practical and relevant expertise communities need, particularly as they face diverse and increasingly complex challenges. Formally established in 1913, the WSU Extension service grew from an earlier state-funded effort to deliver practical knowledge through what were known as traveling Farmer’s Institutes. It put Washington at the forefront of the applied research movement, having an organizational structure and key staff already in place when federal legislation authorizing Extension outreach programs was approved by Congress in 1914. At the time, one of the greatest challenges nearly every community faced was developing and maintaining a reliable food supply, which is why much of the early Extension focus was on agricultural issues. Then, as reliability and yields increased, many communities also saw greater economic stability and Extension’s outreach began to include programs focused on the family and communities, such as nutrition, parenting, and youth development through the 4-H program. Meanwhile, the population of America’s cities continued to swell, creating large and complex metropolitan regions. Globally, the number of people living in cities overtook the rural population for the first time in 2008, according to the United Nations. That shift is even more pronounced in developed nations, where an estimated 86 percent of the population is expected to live in urban areas by 2050. In the Pacific Northwest, specifically the Puget Sound region, community leaders grappled with the environmental and social strains of increasingly dense population centers. Suburbs sprawled and new cities sprung up, creating a patchwork of local governing and policy-setting boards. Extension offices in urban areas adapted. WSU, for example, modified programs to focus on topics seen as more relevant to big city lifestyles, such as small-scale farming, container gardening, and other urban horticultural pursuits. Additionally, Extension began teaming up with other agencies to focus on improving nutrition and healthy lifestyles, while launching awareness initiatives to bring greater public attention to the importance of preserving clean water and forest resources. “That emphasis started about 20 years ago and has been well received,” Koenig says. But it remains tightly intertwined, both in practice and in public perception, with Extension’s agricultural origins. 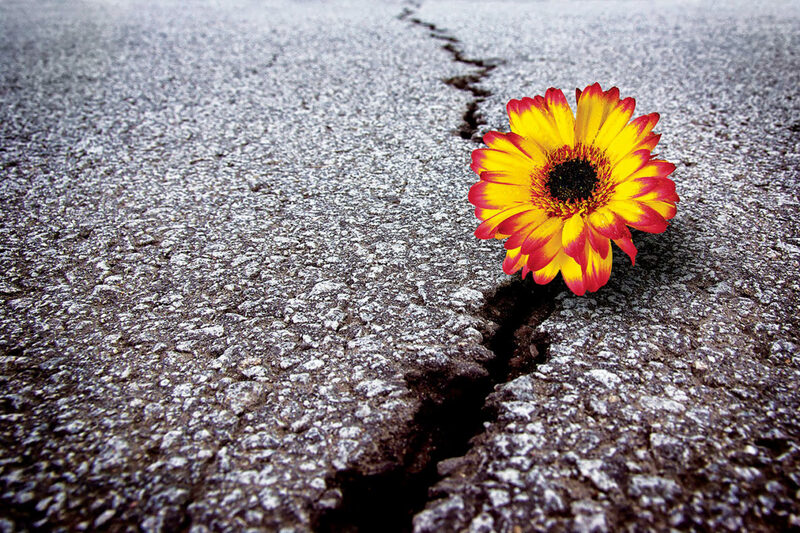 To fully evolve, Extension leaders realized in 2009 they needed a new, separate framework that would complement traditional programs while improving community access to the expertise available within all 11 of WSU’s colleges. Among them are state lawmakers, city councils, school districts, nonprofit and other community organizations—all with policy-developing roles that can sometimes conflict or overlap. 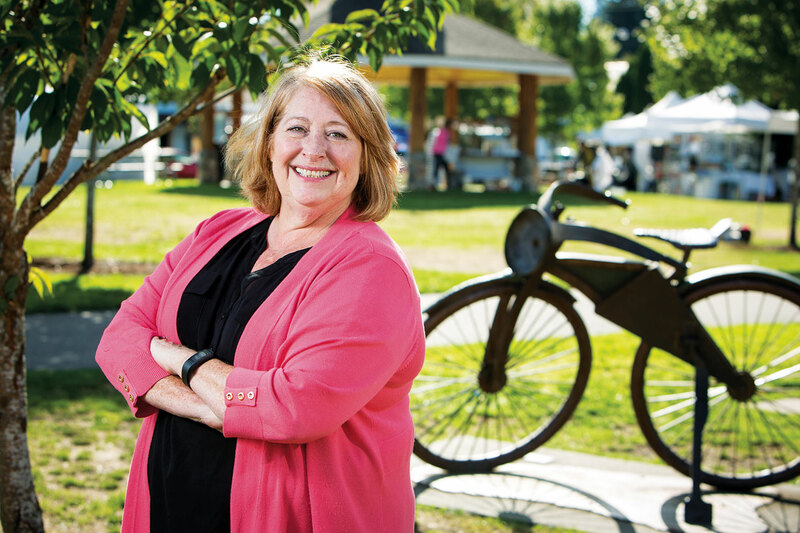 King County alone is home to 39 separate cities and towns, for example, and while Extension has long enjoyed healthy working relationships with the state’s counties, its connections to other governing boards are less developed. The first major step toward that new approach came earlier this year. The WSU Board of Regents authorized development of the new Metropolitan Center for Applied Research and Extension. Based at WSU North Puget Sound at Everett, it’s built on the University’s experience with delivering practical research directly to those who can most benefit from it. Unlike traditional Extension services, the Metro Center focuses on targeted projects rather than the development of ongoing programs. 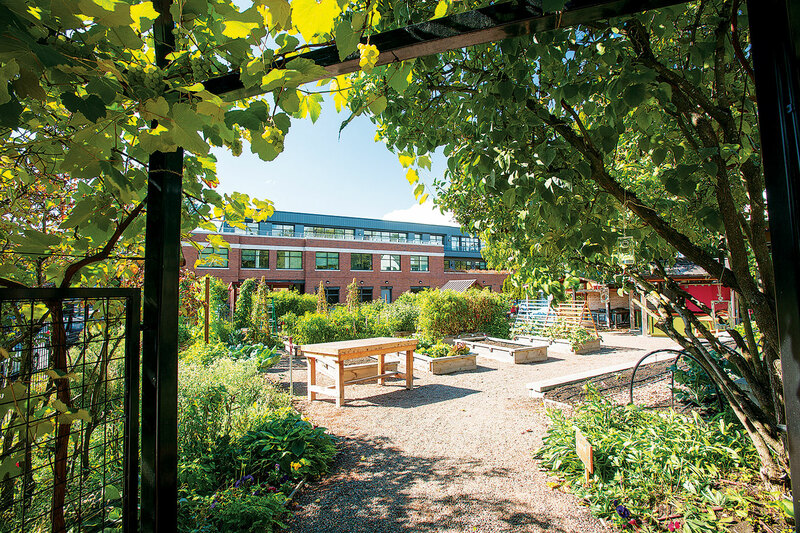 Awareness of Extension’s evolving metropolitan services already is beginning to grow in neighborhoods such as Seattle’s historic Beacon Hill, where a vibrant community herb and vegetable garden thrives alongside a renovated commercial office building. It was inside that office building over the summer that Donna O’Connor, a financial coach with a nonprofit organization serving low-income families, got a first-hand look at Extension’s urban focus. Growing up, she and her brothers helped raise livestock as members of a 4-H group operated by the county Extension office. They’d learned how to plant a garden, turn fruit into jam, and how to safely preserve food for winter. So when she showed up for a half-day poverty immersion workshop designed to help boost awareness among community leaders of the challenges faced by the working poor, it came as a bit of a surprise when she heard it was being conducted by the Extension service. The simulations are led by Martha Aitken, the Metro Center’s project specialist, who conducts the workshops in an effort to raise awareness of how policies can affect vulnerable, often-overlooked populations. She usually opens each workshop with an introduction to WSU Extension and its commitment to metropolitan issues. The city of Renton is among the municipalities that has brought in Aitken and her colleagues to work with department managers. Elsewhere, WSU researchers as part of a potential Extension-based project are preparing to help evaluate strains on the Puget Sound region’s food, energy, and water resources. All three are linked, meaning any policy changes designed to influence one will affect the others. And, efforts are underway to help track impacts of differing municipal minimum wage requirements on restaurant and catering companies that operate in multiple Puget Sound cities. Developing an effective urban Extension model has been a major topic among land-grant universities nationwide. The first push came in the 1980s, followed by another in the 1990s, recalls Fred Schlutt, vice provost for Extension and outreach at the University of Alaska and chairman of a key policy-setting committee with the Association of Public and Land-grant Universities. Extension leaders began to notice differences in the types of services eastern and western U.S. programs identified as critical to urban areas. In the eastern United States, the major challenges involved combating urban decay, while metropolitan regions across the west were struggling to manage growth. Additionally, many western U.S. population centers still are surrounded by vast rural areas. WSU already had a potential plan taking shape in Seattle that appealed to western land-grant universities because it took an “urban engagement” approach, Schlutt says. The transformation in Seattle began during the economic downturn that followed the collapse of the nation’s real estate markets, forcing state and local governments to cut spending to help balance their budgets. One target of those cuts was Extension services. Although WSU provides the Extension staff and administration, each of Washington’s counties typically contribute toward a portion of the local costs. The deepest cuts in local contributions came in urban counties, where Gaolach and others were told by government leaders that, in the painful budget-balancing decisions, there was a feeling that Extension services no longer were as relevant to metropolitan lifestyles. Gaolach, who had helped spearhead many of the early efforts to develop urban-style programming in Pierce and King Counties, says it was then that he realized the struggle was as much about metropolitan perceptions of Extension as economic uncertainty. With help from Ron Sims, who served as King County executive at the time, local allocations for Extension services began to rebuild. But as plans for a new metropolitan-focused Extension service started to take shape in 2009 they were abruptly stopped after Sims, now a member of the WSU Board of Regents, was tapped by President Obama to serve as deputy secretary of Housing and Urban Development. “We continued to work toward a new model but when Ron Sims left, that put things on hold for a while,” Gaolach says. By 2011, though, the push was extending beyond the Northwest. The Western Extension Directors Association was aware of WSU’s efforts in Puget Sound, and by 2014 land-grant universities in Alaska, California, Colorado, Idaho, and Oregon teamed up with WSU to create a regional research center focused on metropolitan issues. Also eager to continue transforming Extension services is WSU’s new president, Kirk Schulz. That evolution already is obvious to many in Arlington and Darrington. Tolbert, the Arlington mayor, recalls an early conversation with Bob Drewel, then a senior advisor at WSU North Puget Sound at Everett who was helping coordinate the University’s various assistance efforts following the landslide. He told her about Extension’s expertise with community and economic development, and suggested it might be a way to take advantage of the invitation to participate in the America’s Best Communities competition without pulling city staff away from landslide recovery efforts. Tolbert and others agreed. Extension sent them Aitken, who along with others reviewed economic revitalization ideas that were being discussed before the landslide, and met with leaders in both communities to get a better sense of how they hoped to preserve their quality of life as they diversified for the future. Although the history of both communities is tied deeply to the region’s natural resources, their economies have become increasingly interwined with Puget Sound’s technology and aerospace industries. Overall economic recovery, however, has been much slower on the urban fringes and community leaders have struggled to find the best ways to move forward while preserving their own sense of place. The proposed plan that WSU Extension helped develop would encourage, among other things, continued diversification along an economic corridor, and left many feeling that even if they lost out on the competition’s $3 million top prize, they finally had a solid vision to help guide them forward. “When I look back on it and think about the work that was done, in the timeframe that it was done, if anyone had told us that’s what we’d be doing I’d have said, ‘Great, where are the magic beans?’” Tolbert laughs.